Conferences: These event provide professional learning, information and networking opportunities across the administrator standards (breadth). 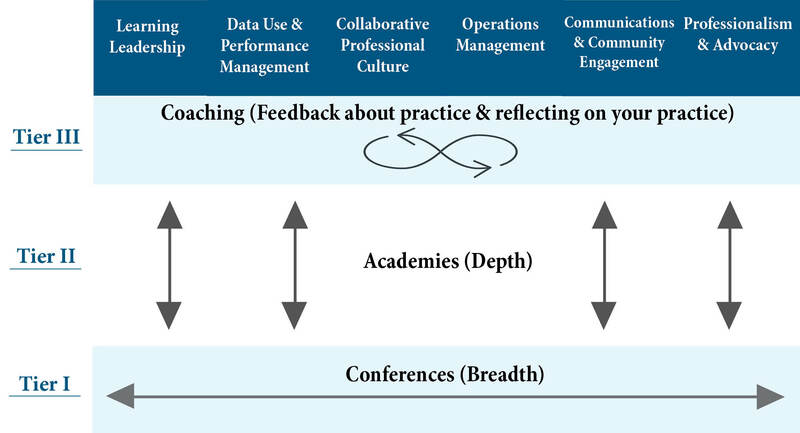 Academies: These provide focused professional learning on targeted pillars and related high-leverage practices for leaders (depth). Coaching: Through coaching, we are able to equip leaders with the tools and strategies allowing them to lead effectively.